As you may know, we have restructured a bit! As a company, we have decided to focus our time and talents in the floral studio on weddings and events. With this change, we will no longer be focusing on every day flowers. 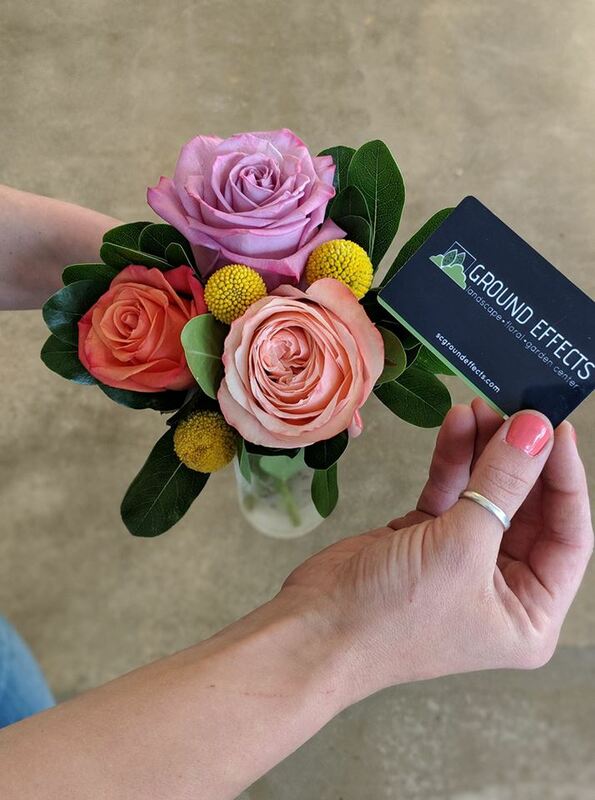 Here at the Ground Effects Floral Studio we like to think of ourselves as a combination between event designers and floral designers. Typically, you’ll find our designers creating unique centerpieces, arrangements, and floral accents for our customers’ events and weddings. On a select few days a month, we open up our original designs to the public for our monthly Floral Market. Why not sell them every day? We thought you might ask! 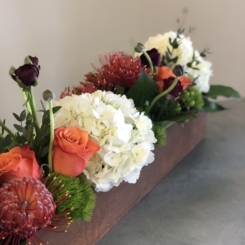 By selling our arrangements on a few days out of the month, we are able to source the freshest flowers and carry the most unique variety, so we can create designs that are truly one of a kind. 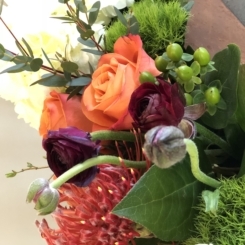 The flowers we use are ever-changing, giving our monthly customers the most beautiful blooms. During these Floral Event days you can order your arrangement ahead of time or come and choose from our designs. Quantities are limited so it is first come, first serve. If you have questions about these monthly floral events please contact us! These dates will correlate with special events or holidays throughout the year, such as Valentine’s Day, Mother’s Day and Christmas. How will I know when you’re having a Floral Event? Stay up to date with our E-newsletters, our website, Facebook page, Instagram and newspaper advertisements. We have them scheduled a few months in advance and we have a posted schedule on our website and Facebook. We have these events scheduled around times of the year when we know you will be wanting fresh beautiful flowers. I.e. Thanksgiving/Valentine’s Day/Christmas. At each event we will have information regarding our next event! Don’t worry, we’ll have the information you need. If you can’t find the information you’re looking for give us a call: 712 722 4600. If you’re not having an Floral Event, can I still order flowers? You can always call to see if we have flowers on hand. If we do and if we have time, we will make up an arrangement for you! 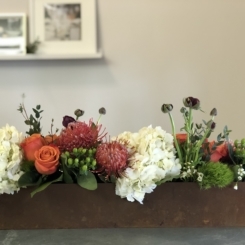 In these instances, our designers will be working with a limited selection of flowers, trust that our designers will create you a gorgeous arrangement with what we have on hand. Can I come in during a Floral Event and pick the flowers I want in my bouquet? We will have a large variety of already made arrangements, all you need to do is come in and pick one out! Will you still be open everyday? Yes! Come check out our newly renovated store! We still have a wide variety of sympathy gifts, large garden center inventory, gorgeous house plants, terrariums, and much more. Will you do funerals? We offer a wide variety of memorial gifts like houseplants, benches, prints, wind chimes, candles, and memorial trees. If we have flowers on hand during the time of the funeral, we can create and deliver. Many of our customers prefer to wait for our Monthly Floral Event to deliver their bereavement arrangements to friends and family. This is a nice way to let them know you are still thinking of them, even after the funeral has passed.